Home Survival Would You? Could You? Eat a Person? Would You? Could You? Eat a Person? I was prompted to write those words after a couple of things happened. First, I watched the season finale of The Walking Dead. I won’t give away anything more than that right now to you people who are still feverishly playing catch-up on Netflix. The second thing was a few books I have either read or am in the process of reading which deal with the subject of a TEOTWAWKI type of event which leads some people to cannibalism. It struck me as odd at how little we seem to discuss this subject when it comes to prepping and SHTF types of scenarios. I have heard it mentioned before obviously and we had a similarly themed post on the Prepper Journal that asked the question, Could you eat the family pet? But for the most part, cannibalism doesn’t seem to come up in the conversation for some reason. The most recent mention of this for me was in the book World War Z. This book is so far just a series of stories/interviews told from the perspective of people who lived through this fictional zombie outbreak. In one story people flee the cities and gather in the National Forests of Canada. This one family tells of how the beginning was like a large camping trip with lots of new friends. Everyone was jovial and got along great until the food ran out. Hunger, desperation and food supplies are routinely covered, as well as planting gardens, raising livestock and planning ahead. We do not seem to talk about the potential of those same desperate people who either did not or were not able to stock up, running out of food and turning to the most abundant presumably source of protein around. You. Cannibal tucking into a body part. Cannibalism isn’t new and its origins if you believe Wikipedia comes from the Spanish name for the Carib people, a West Indies tribe formerly well known for practicing cannibalism. We have probably all seen pictures of sinister looking native people, maybe with sharp, filed teeth or shrunken heads and thought in passing of this practice, but the reality is the most of us are so far removed from anything remotely resembling this act that it falls somewhere in urban legend between the Loch Ness monster and Big Foot. We are aware of it and maybe on some level believe in it, but we have never seen it and never worry about it. Cannibalism for the rest of the world who doesn’t practice this as part of our culture or religion does come into play in dire, drastic circumstances usually of extreme starvation. In colonial Jamestown at our country’s birth, cannibalism occurred because the colonists were starving to death at one point. Reportedly, they didn’t just eat people, but they went so far as to dig up corpses and eat them. They called this the Starving Time. 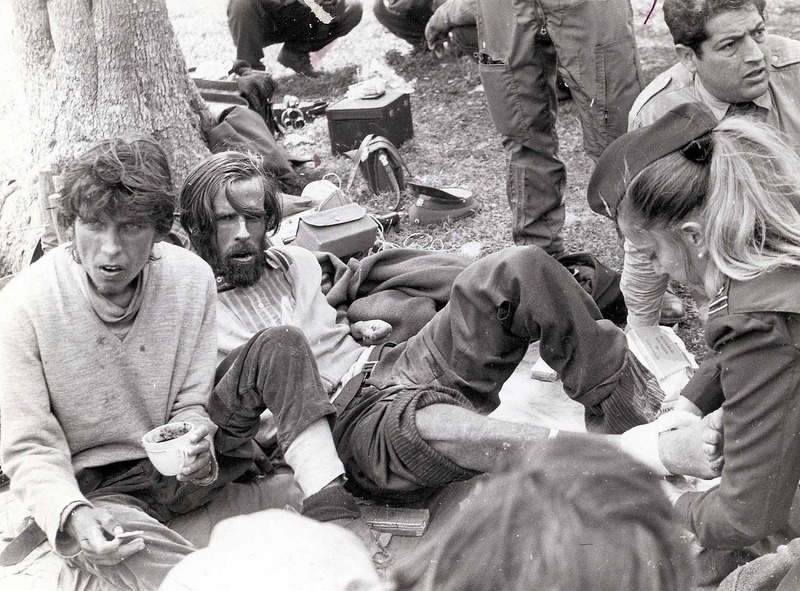 Many of us remember if not the actual event, the movie dramatization of the survivors of Uruguayan Air Force Flight 571 who crash landed in the Andes back in 1972 and eventually turned to cannibalism after no one found them for over 72 days. I get hungry if I haven’t eaten in several hours. There are other people who are simply insane that also eat people for the sheer fun of it, but I am more concerned with the majority of humanity when faced with death from starvation. Like I said, we talk about having food, but eventually your stored food is going to run out. If we all go into the woods, sooner or later, the animals are going to run out. If there is a catastrophe in the winter and the majority of people have no canned food, what will happen? Will the new supermarket be people who can be tricked into cages? Will the local farmers market be your family in your small garden when you are attacked by a group of hungry marauders? Like the fictional accounts I mentioned at the start, I do think that it is highly possible that if we go through some type of horrible calamity that causes wide-spread death and destruction we will most certainly see cannibalism rear its head again. Why do I think this? The most logical answer I can think of is that humans are the only animal that we can talk to. December 23, 1972: The 72nd and final day of survival for the Uruguayan Air Force Flight 571. In the Walking Dead (spoiler alert) a community called the Terminus has formed and from what you are able to infer from the show, they have turned to cannibalism. They lure people who are lost, hungry and scared to their community and trap them with the sole intention of eating them. Could this happen if all hell broke loose and zombies roamed the earth? I think it could but I don’t think it would take zombies for this to happen. Just look at the settlers of Jamestown. They got hungry enough to eat people too and as far as I know there was no war, no economic collapse, no global pandemic and certainly no zombies. You could say that some were dying of disease sure, but that can just as easily happen here and now. They were hungry because they had no food. In our culture where everyone gets their food from a grocery store, or a restaurant people will go hungry fast in a total collapse like this. I don’t think that idea has ever been met with too much resistance, but we always stop there. People will get hungry, you better have food. I don’t think that the majority of the world is prepping for any type of disaster but even for the ones who are, we would be on borrowed time if any such disaster occurred. In a perfect world, we would never run into any event like this that takes civilization away completely, but let’s assume for a minute we did. In your small community of 10,000 people (hypothetically) how many would you say are prepping? Let’s be generous and say 10% of that number are prepared for a year. That leaves 9000 people who are going to go hungry and when that happens, do you think that our culture today is going to quietly lie down and die? Will they try to take what you and all the other people who are prepping have? What if you have already eaten your supply of food and your garden is barely producing enough to keep your family alive? If the animals are all gone and there is nothing left to eat, will some people turn to eating their fellow humans? Freedom loving American doing what I can to help prepare and inform others. I know what you mean obxster and I am pretty much of the same opinion. Maybe in the most dire circumstances I could bring myself to eat it if I was near death, but I simply couldn’t do that to my kids. You have to be able to look yourself in the eyes like you said. There are a lot of things that I think I could eventually live with as do a lot of people when faced with unusual circumstances. I know I wouldn’t want to ever think about trying with this one though. This is without a doubt my favorite comment to date on the Prepper Journal. Well played Bobcat!!! You are a tough woman Anne. Not sure I can ever rationalize it well enough to be alright with the decision but I understand what you are saying. Thanks for your comments and for visiting the site! I definitely would. Life must go on. Yes. Regardless of what all you silly religious people think, we are only animals and we are made of meat. The scavengers have the benefit of getting around more quickly, the worms and flies have other options – why let a perfectly good potentially 100lbs of usable meat go to waste? Besides, ‘you are what you eat’ and in situations that warrant it how else are you going to get that McDonalds you all trough on? The film blackout depicts the electricity grid going down for some time. Very quickly people can justify to themselves looting and assult to feed their families. If you are a prepper and have to defend yourself, you may need to apply logic to the situation!